Lego DC Super Villains (a Lego game that we think is pretty good!) is getting two DLC add-ons themed around the upcoming Aquaman film starring Jason Momoa as the titular man. 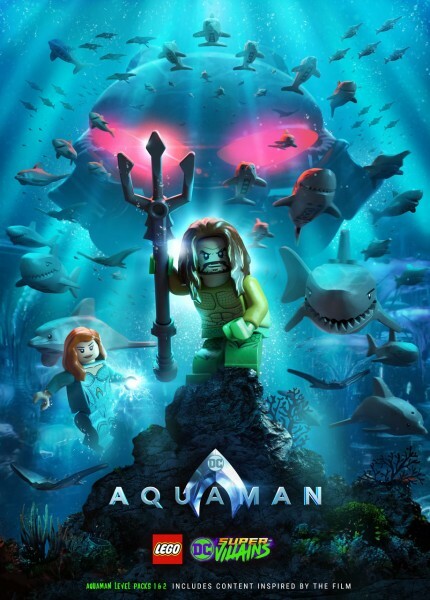 Aquaman Movie Part 1 will be available December 4 for season pass holders and includes themed levels and characters. The movie releases in theaters on December 21 and then the Aquaman Movie Part 2 pack releases January 8 for season pass holders. The packs can also be purchased together in a $5.99 bundle on January 8. For more on Lego DC Super Villains, you can read our review here.